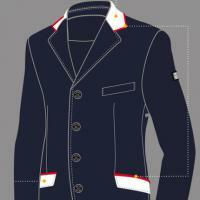 Man competition jacket made in technical fabric X-Cool. The fabric is extremely elastic, breathable and water repellent and grants the highest freedom in the movements. Easy-care (washable in washing-machine). 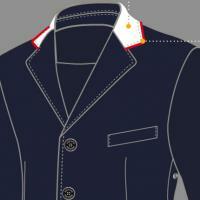 Jacket customizable on request, see below in the related articles for customizations combined. On request you can order the jacket in Extra colors: Royal Blue, Bottle Green, Burgundy, Brown. The timing for lavoration are about 5 weeks after order confirmation.